Cosmetic dentistry describes treatments and procedures to improve the appearance of the teeth, mouth and smile. As opposed to general and restorative dentistry treatments that are necessary to the health of the teeth and gums, cosmetic dentistry is elective. Choosing a great dentist is essential to the success of your cosmetic treatment. Dr. Samir Ayoub is one of the most trusted cosmetic dentists in the San Francisco area. He uses leading techniques and quality materials to restore smiles in a way that looks completely natural. One of Dr. Ayoub’s strengths is considering every patient’s unique features and selecting treatments to enhance their inherent beauty and preserve their facial identity. 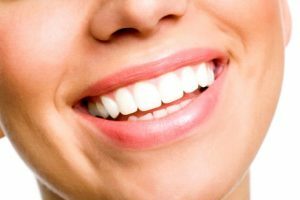 For more information about the cosmetic dentistry treatments offered by Dr. Ayoub, please click the links below. Porcelain veneers are small pieces of laminate that adhere to the surface of the teeth to improve their appearance. Veneers can be used to conceal small chips, cracks, spaces and discolorations, and to enhance uniformity in tooth shape and size. They can also help restore beauty and brilliance to teeth that look worn or dull. Teeth whitening is a fast treatment that produces dazzling results. Professional teeth whitening is recommended so the dentist can control the treatment and reduce the risk of tooth sensitivity. A bleaching agent is applied to the teeth to lighten stains resulting from certain foods, beverages (e.g., coffee, tea, red wine), smoking and poor oral hygiene. Teeth whitening can improve teeth up to eight shades in an hour-long appointment. Invisalign is a system that uses a series of plastic aligners to gradually straighten teeth and shift them into the proper position. An alternative to traditional metal braces, the clear aligners are virtually invisible and can be comfortably worn nearly all day. Typical treatment time with Invisalign is six months to a year. Gum lift raises and sculpts the gum line to improve the balance between the gums and teeth. It is an excellent idea for individuals with “gummy smiles” or excessive gum tissue. By reshaping the gum tissue, gum lift creates the appearance of longer or more symmetrical teeth. Dental bonding is a quick and inexpensive treatment that involves applying a composite resin material to the teeth to conceal small chips, discolorations or spaces. It can also make a tooth look longer or modify its shape. In certain cases, bonding is used to protect a portion of the tooth root that has been exposed due to gum recession. Every cosmetic dentistry patient’s needs and goals are different. To learn more about how Dr. Ayoub can make over your smile, please call (415) 781-2227 today.